We couldn't be more giddy! 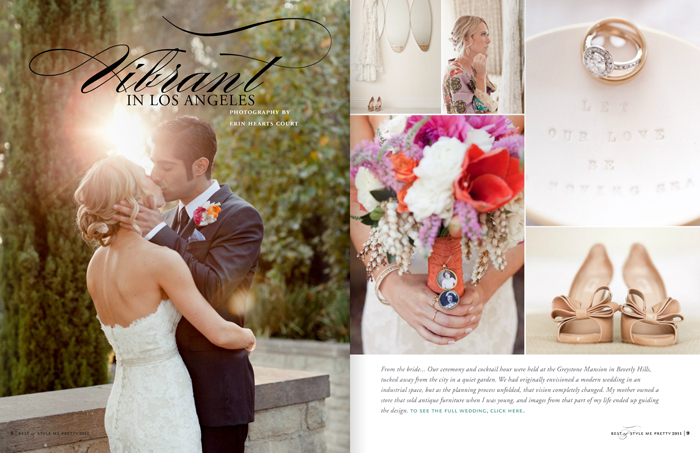 Having one of our most favorite weddings featured in SMP's best of 2011 and to have it be the COVER, is such a wonderful start to 2012!!! 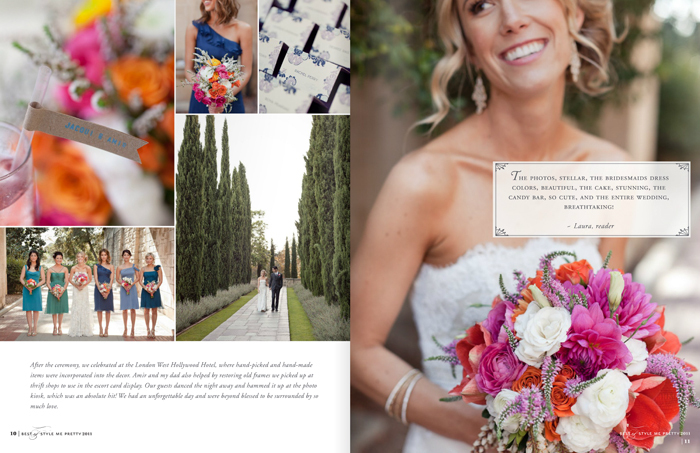 When you get a chance go look at the whole magazine it is filled from cover to cover with some of the most beautiful weddings shot by wonderful photographers that we adore. Thank you style me pretty! 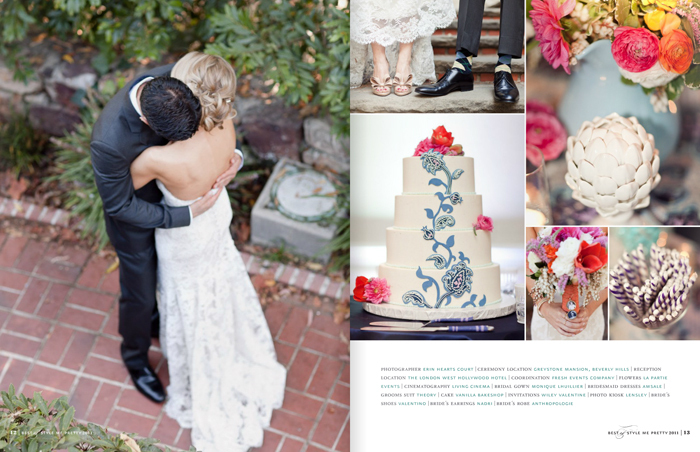 The spread looks amazing!